It’s summer and the perfect time for bright light colorful meals. 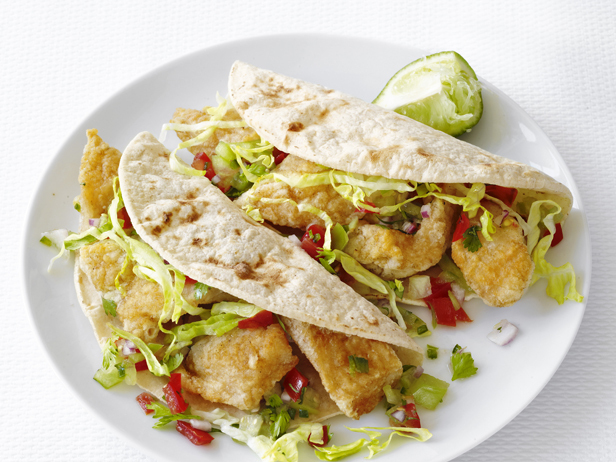 I always love to order fish tacos if we go out to eat so when I saw this recipe in my Food Network Magazine’s weekly dinners section I definitely bookmarked it. I loved the idea of making your own salsa and also trying catfish. I was surprised to find the catfish to be quite tasty, especially when fried in Wondra, a flour I have never tried before. The fresh salsa rang with so many great flavors, cilantro, lime and tomatillo. And we bought an Old El Paso taco kit so that way we had crunchy or soft tacos to make our creations on. Top it off with some fresh avocado slices from my brother and sister in law’s tree and we had a feast. I thought I would miss the usual slaw or sauce on a fish taco but the salsa really made it taste delicious and I was not missing anything. Please excuse the stock photo from my magazine, I ate them so fast I forgot to snap a pic! Have a family taco night and switch it up with fish tacos and homemade salsa and I guarantee you won’t be disappointed! I have had this recipe card on my counter for a while, having gotten it from the deli when I bought some yummy salami, for Antipasto Salad. What is antipasto you may ask? Well in Italy Antipasto is the perfect and only way to begin a meal. It is an assortment of appetizers like marinated olives, mushrooms, peppers, sun-dried tomatoes or squash, cheeses, salami, and all sorts of other treats. I love to put out an antipasto platter when we have company, as there is something for everyone to snack on. 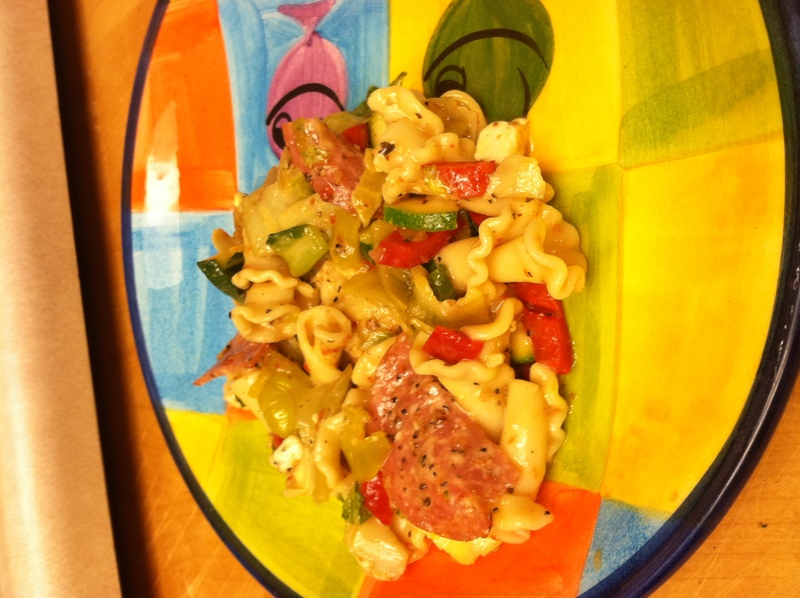 This Antipasto Salad recipe is a pasta and lettuce salad dressed with all my favorite antipasto ingredients – pepperocini, artichokes, cheese, salami, zucchini, red peppers, and all topped with your favorite Italian dressing. I think any assortment of ingredients could be substituted here and I also used a large pasta, Campanele pasta (we have our own pasta named after us, cool!). You can also add more or less of stuff you really like, as it is so much more Italian to not measure at all, so eyeball the cheese and dressing to taste. So if you are looking for a rainbow for the eyes and a feast for the soul to add some zing to a summer grill night then you need to try this recipe, I got rave reviews! Every now and then I venture out from my Italian roots and get a hankering for some good Chinese food. Living in Lemoore there is no option for good takeout so I go to my trusty food network magazine. 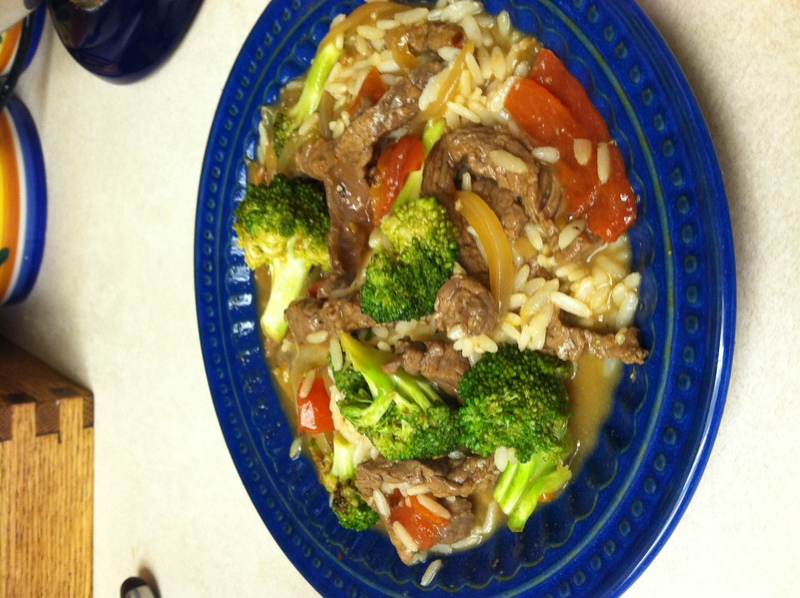 This time I decided to make Beef and Broccoli, one of Campy’s favorite dishes. I think it turned out relatively good but it was missing some kick, so next time I would used more ginger or garlic or add a hot element. I can’t complain too much as this dish was only 440 calories, much less than the takeout version. I served it with Uncle Ben’s whole grain white rice, which has like 4grams of fiber in 1/4 cup, let the party begin! Oh and this recipe has a lot of steps, be sure to read ahead so you don’t miss anything, like I did! If you want a fast and easy dinner with Chinese flavor and a unique twist with the fresh tomato, then try this recipe out! Whisk your flour, baking soda and sea salt, if using, in a bowl. (Add the salt only if desired because there is plenty on top of the finished brownies.) Add your eggs 1 at a time, adding the second only after the first is fully incorporated. Once the second egg is fully incorporated, add your vanilla. Turn your mixer down to low speed and slowly add the flour mixture. Once the dry ingredients are fully incorporated into the wet ingredients, add in all those chocolate chips. Your machine will seem to be struggling to mix in the chocolate chips because there are so many of them, but don’t turn it up, leave it on low and allow it to fully mix the chips in. Spread your cookie dough into the prepared jelly roll. Evenly sprinkle the top of the dough with the fleur de sel. Pop the blondies in the oven until they are golden brown on top and not wobbly in the center, 30 to 35 minutes. 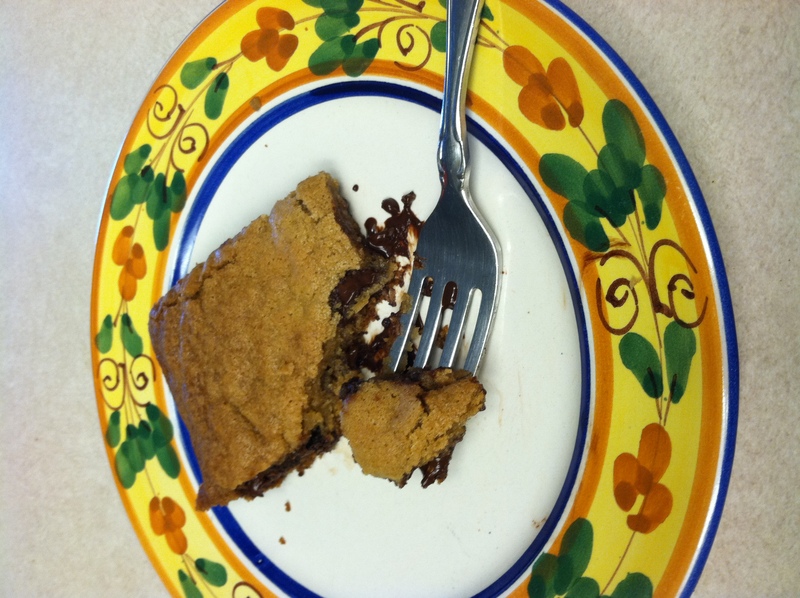 Allow the blondies to cool in the pan on a wire rack or on a dishtowel on your counter. Nutella cookies, need I say more? I am pretty sure you could put Nutella on anything and it would taste good. I have introduced so many friends to it I should start earning a commission or stock options. If you have yet to try it, it is the best thing ever, the one thing I would bring as my luxury item on Survivor, as I cannot survive without it. It is chocolate and hazelnuts blended together into a smooth creamy spread, think peanut butter but way more awesome. I have put it on graham crackers with marshmallow fluff for a quick smores fix, used it to frost cupcakes, put it on raisin bread for a “raisinets” themed breakfast and my most favorite thing to put it on is a spoon. I just have a small (serving)spoonful of it after dinner to fill my sweet tooth craving but not equal the calories of a giant chocolate cake. Ok clearly I have a problem but don’t call intervention yet! I had to find a cookie recipe for my Nutella. Of course Giada didn’t let me down. She has a few versions but this one is the most tasty. I am not sure why she calls them biscotti, I sometimes think she likes throwing big Italian words around in her way overdone accent to sound more authentic. As far as I know biscotti were crunchy biscuit like cookies that my mom makes, this recipe is more for a flatter soft chocolate cookie. Think peanut butter cookies just with Nutella instead. 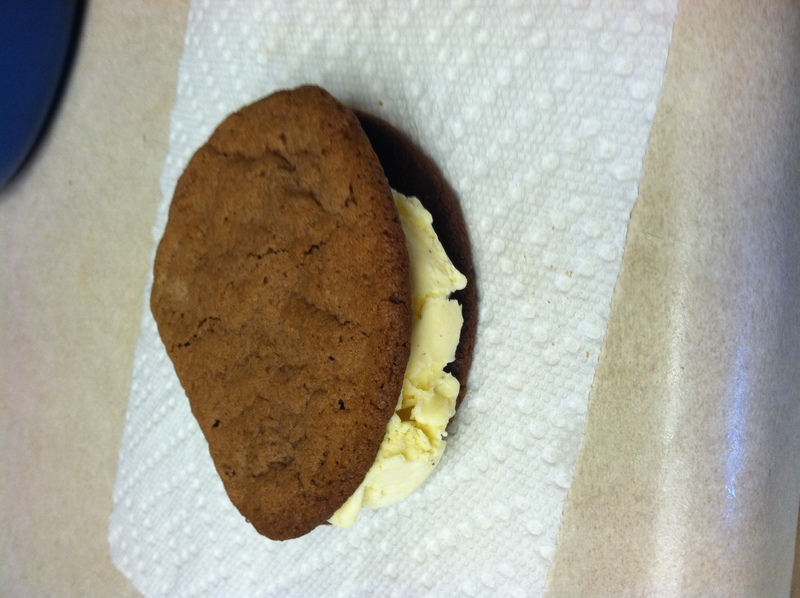 I found some leftover ones in my kitchen today and made an ice cream sandwich with them, I am pretty sure I could replace my husband with Nutella (sorry Campy). When I make the recipe below I never have hazelnuts on hand so I skip that part and I also noted they cook quite fast so I usually check them at 8 or 9 minutes or so. So if you need a new sweet fix, try this recipe or some Nutella and you will be hooked! This Crab Boiled rib recipe is one I have had in my recipe binder for quite a while. It is from one of the Food Network original stars and who first got me into cooking, Emeril Lagasse. I was watching his show and Food Network ages ago before it became a hit channel. Bam! 🙂 Lots of times when I need a go to recipe, I search for the item on Food Network and then sort by chefs and look for his version, as I can never go wrong with a Emeril recipe. “Crab boiling” is simply a way to describe the long cooking in specific spices, the same that would be used if you did a crab boil party and had the pot filled with shelfish, corn, and potatoes (ooh that sounds yummy, might do that next). These ribs are extra tender because of the long time boiling them with all the yummy spices and because the cut of country style ribs is delicious. My store sells them boneless and this is the best kind to use. The liquid crab boil called for in the recipe is just old bay seasoning and I can never find it in liquid form, so I use the dried form and just eyeball it. as far as the other strange ingredient, I always have a empty spice jar filled with Emeril Essence on hand, it goes great in lots of recipes. There is a recipe to make the spice rub at the bottom of the rib recipe. I didn’t need to make 6lbs of ribs for just me and the kids so I just cut the recipe in half. 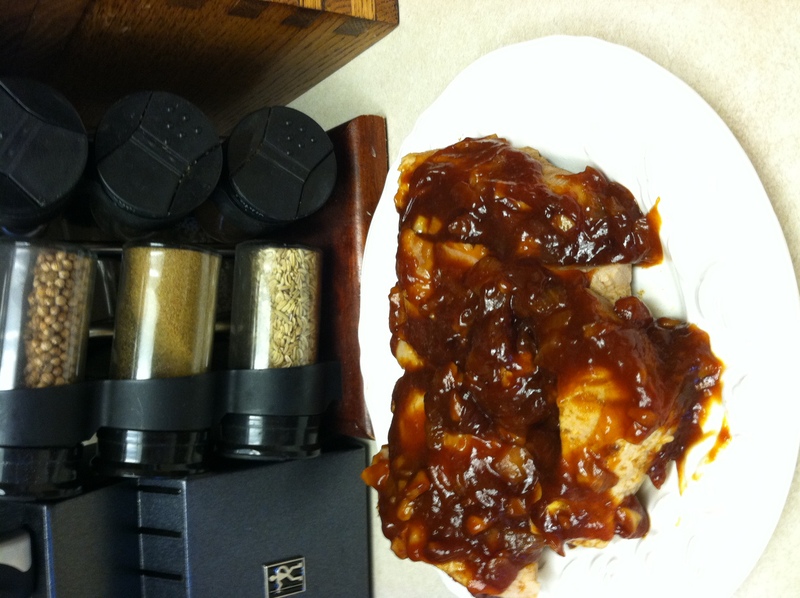 I have to say the BBQ sauce in this recipe is so easy and so tasty, I left out the cayenne for the kids, and I used balsalmic vinegar instead of cider vinegar and I think this added a great flavor. I served it with Emeril’s Lyonnaise Potatoes for an extra treat, think scalloped potatoes with a kick! So if you want some ribs for a summer cookout, skip the grill and try crab boiling them for a yummy twist. You are currently browsing the What Tara's Cookin' blog archives for August, 2011.